If your blinds are to be used in premises where children aged between 0 – 42 months are likely to have access or be present and the blinds require the installation of additional safety devices to make them compliant with the child safety section of EN 13120 then we are legally obliged to install these devices. For commercial premises where children aged between 0 – 42 months are not likely to have access we can supply non-compliant blinds subject to our Risk Assessment being completed and signed. 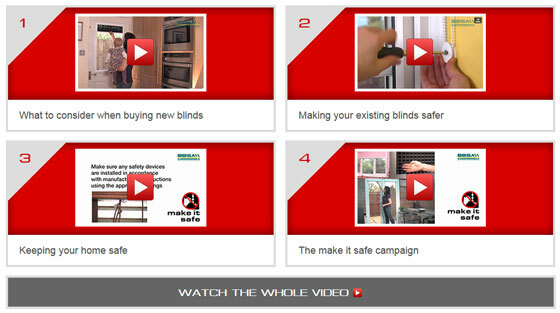 Marla Custom Blinds are proud to be members of the British Blind and Shutter Association (BBSA) and fully support the Make It Safe campaign. “Make it Safe” is the BBSA’s child safety campaign for the safe supply, installation and use of window blinds which have a continuous loop cord or chain. Since its launch, the Make It Safe campaign has pressed for safer window blinds and the promotion of safety for all window treatments. The Make It Safe campaign is endorsed by The Royal Society for the Prevention of Accidents (RoSPA) and the Child Accident Prevent Trust (CAPT) and referenced by many other organisations. As an accredited member of the BBSA we have been closely involved in the Make It Safe campaign and the changes required in the way internal blinds are made, sold and professionally installed. We recommend that you take a few minutes to watch the “Make it Safe” safety video, just click on the image below. There are extensive ranges of products that are safe by design, meaning that they do not use operating cords or chains or have concealed or tensioned cords. We strongly recommend that these products are always considered first when you are buying new blinds for homes or public buildings. 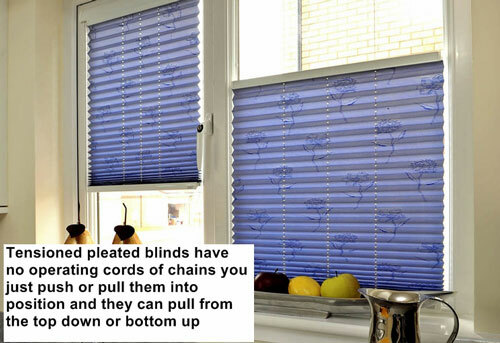 If you require blinds that have operating cords or chains please note the new regulations will mean cord and chain lengths are determined by the European standard, and where a safety device is needed we will have to install the device, by law. There are a range of safety devices which have been tested to the new mandatory standards and can help to make existing blinds safer. There are options for virtually every style of blind so you do not have to wait until you change your blind to make it safer.